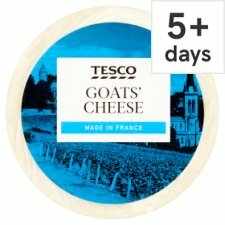 Cat's Uncle has a craving for Goats Cheese. He's a an American expat, and also a quad living in Chiang Mai, so is it available up there or even Phuket, I can take him some. I forget where the Cheese thread was. Imported Fetta is widely available thru BigC/Tesco/Makro/VillaMart/Rimping and in Patong, at The Deli. The Deli may also have locally made goats cheese. Goats are browsers not grazers. You see bony arsed cattle grazing the roadsides - where are the goats eating the herbage? And another protein source for all religions. BTW Bro - Cheezus allows the cheese posts to pop up anywhere 55555! Also - Wet Season officially here in Phuket - fn tuking down maak maak again. Last edited by Zablive; 12th April 2013 at 21:22. Leave Cheezus out of this , palease. Seen some goats up this way, Thai geezers and 4-legged variety too. Good to hear you're getting some fon tok; Petchabun had a sprinkle yesterday .... still waiting in CM. Look out for 'Caroline' brand Thai fetta, or LEMNOS ... Aussie Greek-style. The rain is blowing in from the west already? Theres about 40 goats corralled just around the corner opposite where Bang Wan rents rarer motor bikes. Can you help Bri milk them? Last edited by Zablive; 13th April 2013 at 02:29. Dumping straight down every day - sometimes from Surin, Kathu, Patong direction - already - Yes???? You query this local (on the wet ground) information ??????????????? You're correct, Greek style feta is usually 70/30 sheep/goat milk. Scrub the Aussie LEMNOS Feta and Thai CAROLINE ... both are made entirely from cows milk.... tastes good though! Used to own a goat called Rosemary. My dog kept trying to root it. Go figure. The Billys really stink, they piss on themselves for what reason, I have no idea. Entire male goats (bucks) piddle/urinate on their beards and front legs to make themselves smell more attractive to the female goats (does) when they are in season. 100% goats cheese is a specialised product and good for ppl with cows milk intolerance. Greek Feta is the most common form, made with sheep and goat milk, so might pay to ask 'uncle' for clarification. English Pub 'The Olde Bell', alongside Raming Lodge, lists French Chevre available (on their cheeseboard menu) which if genuine is made with 100% goats milk but due to fx rates it's expensive! Tesco may stock Chevre, the old Carrefour certainly would have. I'll look out for it at Rimping, Tops and Yok ... all are BIG importers. Thanks Rob, I will go roaming in Rimping. If you were a billy and they called you "Rosemary" wouldn't you pyzz on yourself 55555! Ok,it`s not the monsoon then. It`s quite common for big storms to blow in from the mainland during late afternoon,early evening during the dry season. Piggy - you are impossible! Did I say the Southwest Monsoon has arrived - No! I Did say the Wet Season has arrived. When it buckets down daily it's the Wet Season - regardless of cloud direction FFS!